Gary Craig is the Managing Partner and Chief Operating Officer for Vector Group, Inc.
For over 25 years he helps people and organizations move through dramatic change. Since joining the firm in 1989, he gained significant domestic and international experience and contributed significantly to a number of large-scale strategic initiatives in the US, the UK, Europe, South America and the Middle East. 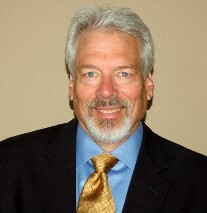 His experience in numerous industries includes transportation, insurance, freight, manufacturing, oil & gas, high-tech, printing and telecommunications for multiple projects with British Airways, Prudential Retail (UK), hp/Compaq, Square D Company, Texaco, Community Mutual Insurance Company, and Jeppesen-Sanderson. His expertise in organizational effectiveness helps individuals and groups to determine root causes of organizational issues and resolve them. Recognized for his ability in efficiently and accurately assessing organizations and recommending and implementing changes aligning culture with infrastructure and strategic business objectives, he is highly skilled in driving optimal performance and human capital within organizations. Gary is Past President of the American Society for Training and Development (ASTD)-Rocky Mountain Chapter in Denver, CO and is an Honorary Life Member of the chapter. He was a member of the national ASTD Board of Directors, Chair of the National Advisors for Chapters and was invited to serve as the first Field Editor for the Organizational Development Forum. He was recognized by the national organization for his outstanding commitment to the profession of Human Resource Development and the field of performance. Gary is a frequent presenter at the international conferences for ASTD and the International Society for Performance Improvement (ISPI) as well as for local chapters of those professional societies. He is also a member of the Society for Human Resource Management (SHRM) and the Colorado Human Resource Association (CHRA). He co-authored The Management Mirror: Helping Senior Management Teams See Their Own Reality with Claude Lineberry published by MCB University Press (UK). Both were honored by the Emerald Literati Club with a Highly Commended Author Award for writing one of the best papers in their chosen field. Additionally, he has published numerous articles about managing change, organizational assessment, organization development and effectiveness, executive coaching and performance consulting. “Exceptionally skilled in deciphering the underlying performance challenges of the organization and laying out effective solutions. Gary was influential in rapidly improving organizational performance for major international divisions with Jeppesen-Sanderson, Inc.” William Lockwood, Human Resources Manager, Jeppesen-Sanderson. “I worked very closely with Gary Craig on a large leadership development and organizational transformation project for Prudential Assurance Retail Services in the UK. As a facilitator, I evaluated Gary as having a light touch on the rudder but the boat always ended up in the right place.” Bob Ferdinand, Ashridge Management College, Hertfordshire, England, UK.